America’s most famous architect trained his way to greatness in Chicago, and made his mark across the Midwest (and the world), expressing a special love for this city along the way. 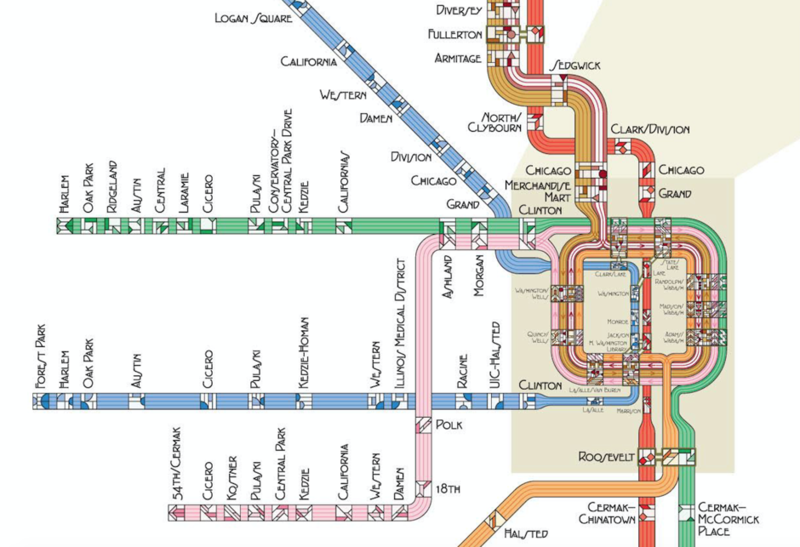 Inspired by his legacy, British cartographer Max roberts challenged himself to illustrate the routes of the Windy City’s ‘L’ system in the style of Wright. 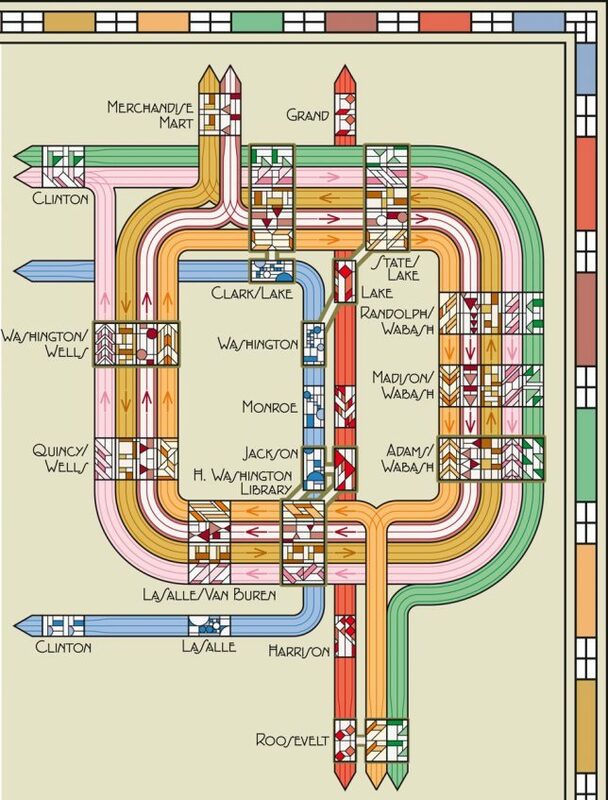 Borrowing from FLW’s Arts and Crafts typography and abstract stained-glass works, he began drawing out the lines and curves of this urban railway network. 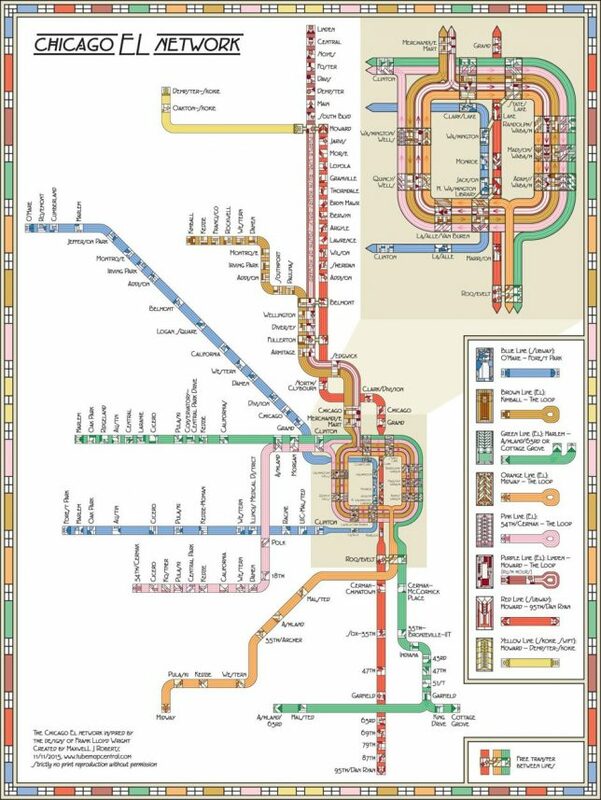 At the same time, he also took cues from the CTA’s own color-based approach and geometric simplification. Together, these integrated approaches create a system of colors and symbols that is both legible but also aesthetically inspired. And the results resonate — for anyone who already associates Chicago with the Robie House and other famous Wright creations, these new diagrams seem like a natural extension of his work, and something you might well found hung inside a Usonian house. While Wright favored cars as modes of transportation (during the automobile boom years of the early 20th century, one might also hope he would appreciate the role of public transit with the benefit of hindsight.